Stir the sour cream, mayonnaise, lemon juice and dill in a medium bowl. Add the salmon and toss to coat. Season with the black pepper. 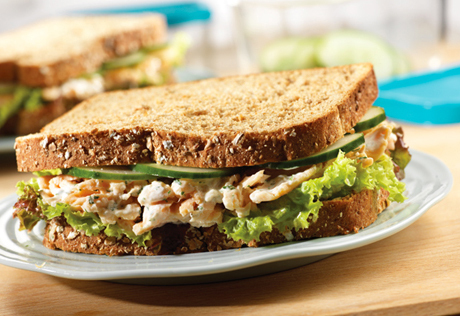 Divide the lettuce and salmon mixture between 2 bread slices. Top with the cucumber and remaining bread slices.